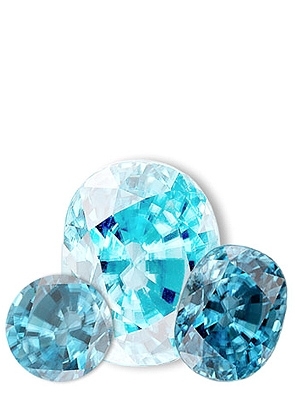 Blue Zircon is Decembers birthstone, and is also a gem of great beauty and rarity. Zircon has superb brilliance and dispersion, and in its colorless form it looks more like a diamond more than any other gem. Zircon is often aqua-blue in color with shimmering accents of teal, and resembles a frozen pool of clear blue water reflecting light on a crisp winter day. It is rated “fair” for everyday wear.